Jason received his Master’s degree from Virginia Commonwealth University in 2005. Prior to this served as an apprentice and as Studio Manager for artist Jun Kaneko, and the Education Studios Manager at Pewabic Pottery. In 2006 he was a Resident Artist at Marywood University and currently he is a Faculty member and Studio Manager for VCU’s Department of Craft/Material Studies. 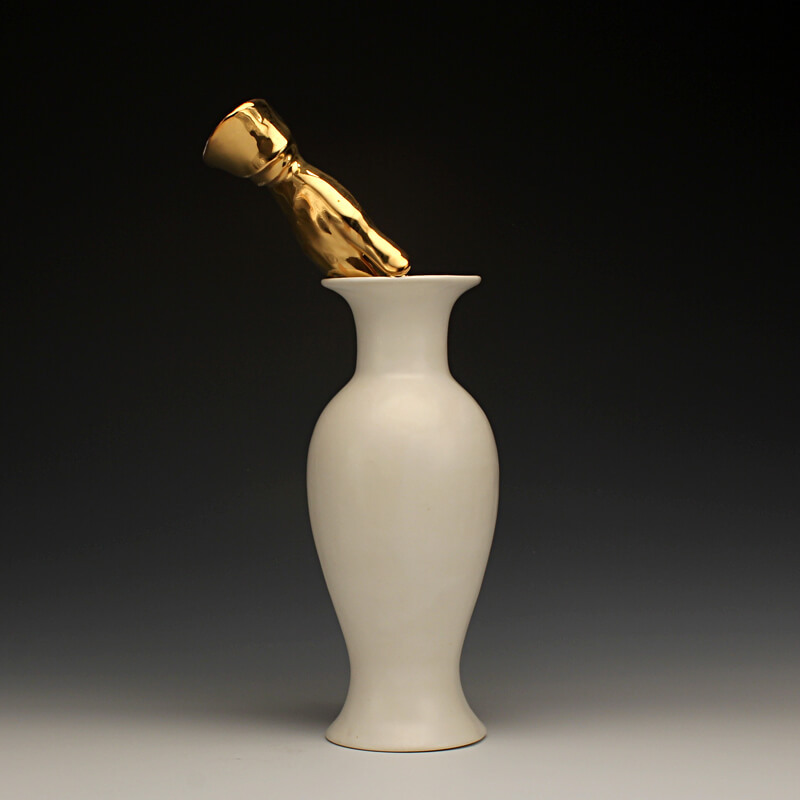 Jason’s artwork has been exhibited internationally at IX International Bienale of Ceramic Art in Portugal, and in Romania at Galateea Gallery. This past year his work was on view at Betz Gallery in conjunction with NCECA and in “Strange Glue” an exhibition celebrating the 100th anniversary of collage in the arts. Upcoming exhibitions where his work can be seen include “Ambiguity and Interface” at the Taubman Museum of Art, and a solo exhibition at Firelands College in Ohio. This year, Jason received a VMFA Fellowship rewarding his creative research in the field of Craft. Jason shares his life with his wife Cindy and daughters Claire and Lillian, maintaining a studio in Henrico, VA. I understand the world in an evocative fashion and view my artworks as both physical and philosophical memorials to ‘Distance and Closeness’. During the construction of this new series of works, I consider ideas such as the value of community and family, the honesty of both gross and tedious labor, the mysteriousness of the metaphysical, and the passage time. Each piece is primarily assembled from objects made by hand and mold formed methods. Captured materials, images and forms are merged in commemorative context where contemplation defines their functional nature. Individually they are vases, hands, and cultural icons made of clay. Collectively, they are symbols and metaphors simultaneously expressing proximity and distance, material and immaterial, and the tangible and intangible.